Click to view our listing in The State of Florida Gift Givers Guide which is a resource that provides the financial information reported from charitable organizations. Do not forget to put in our name. Click Here To View Our Non Profit Papers With The Florida Department of State - Division of Corporations. Your on-going monthly donation of $1 $5 $10 $25 $50 0r $100. will give us enough funds to keep the doors open at Puffy Paws. If we fail at raising the funds needed every day for the kitties under our care, there will be no other option but to close down. What choice would we have? An entire cat hospice will be wiped out and only painful and sad stories will be told because we could not round up the worldwide awareness and monthly financial help these beautiful cats deserve. You have the power to avert this tragedy today. If Everyone Did a Little Monthly.There Would Be Little Left To Do ! Your monthly donation will go a long ways in securing the kitties future. In these hard economical times, we all know the personal sacrifices each and everyone of you make when you donate to the kitties at Puffy Paws Kitty Haven and for this we will always be eternally grateful. Please only give what your heart & monthly budget can afford. Our goal is to raise $30,000 a month in monthly reoccurring donations. It Cost Well Over $30,000.00 a month to run Puffy Paws Kitty Haven. $41.09 a hour every single day, 365 days a year. 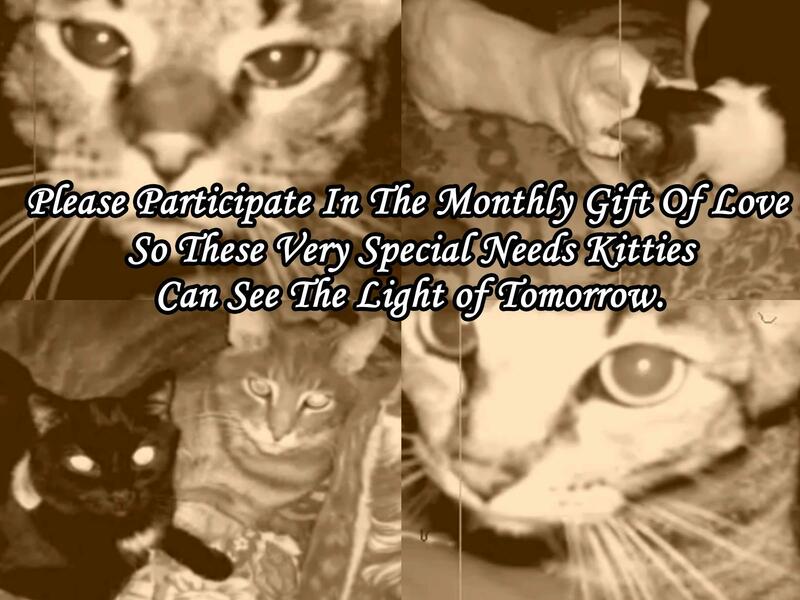 The Majority of the fund Are Donated By The Kitties Lovers Through Out The World. Just by asking for help when the kitties need it. 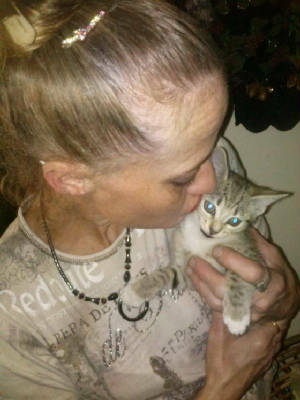 The priority of incoming funds are in this order, the kitties daily needs,cat food, vet care and operating expenses. After that, funds are used for the maintenance and improvement of the Haven for the kitties and the care and maintenance of the vehicles. All donations must go for the direct benefit of the kitties. Puffy Paws never have to raise funds for salaries in the name of animals. Rick & Chrissy Kingston's do not get paid. Puffy Paws Kitty Haven believes in 100% transparency in all of our dealing. These pages our designed to let the whole world know were their donations go and why and when they are needed each and every month. In addition to this Puffy Paws books are open to the public, upon request. We receive your donation in a monthly check. We receive your first donation instantly . To change your subscription settings, click here.